Over four billion people don’t have Internet access. That’s more than half the population of Earth. How do we fix that? The answer lies over our head. Two billionaires are in a battle to create a network of tiny satellites that can bring cheap Internet access to the masses. In November 2014, Elon Musk confirmed rumours that he was building a fleet of satellites to provide affordable Internet Elon Musk is Building A Fleet of Satellites to Bring Broadband to the Masses Elon Musk is Building A Fleet of Satellites to Bring Broadband to the Masses Between revolutionizing the car industry and pushing human space exploration with SpaceX, Elon Musk seems to be everywhere. Now, Mr. Musk has a new project: bringing cheap, uncensored Internet access to the world at large. Read More . He officially announced the project this January, but was beat to the punch by Richard Branson of Virgin, who is launching the world’s largest satellite constellation in collaboration with Qualcomm and OneWeb. Neither of these billionaires is new to the space race. Musk is the founder of SpaceX, the electric sportscar manufacturer Tesla and other technological ventures. Branson is an inspirational entrepreneur 10 Inspirational Entrepreneurs To Follow On Twitter 10 Inspirational Entrepreneurs To Follow On Twitter The Internet has peeled away much of the mystery. The personal magic of today’s business leaders remains, but we can easily unravel the strategies and business ideas that make them prosper. In fact, they are... Read More with many investments, one of which is the world’s first commercial spaceline, Virgin Galactic. So what’s special about space Internet, to attract the likes of Musk and Branson? Isn’t Satellite Internet Already Available? Today’s satellite Internet uses satellites in geostationary orbit (GSO), which is 22,000 miles or more above the surface of the earth. At this distance, the satellite rotates in sync with the earth, so from our perspective on terra firma, it’s like the satellite is stationary above our heads. 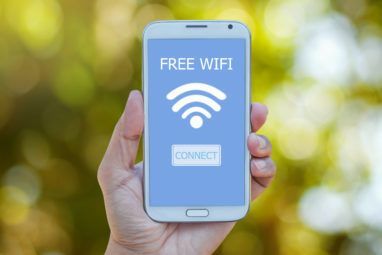 However, the large distance results in high latency, which makes satellite Internet a poor option for several applications like gaming, video conferencing, live streaming, and even just browsing the web. These satellites are also larger and costlier, raising the price of Internet services available through them. 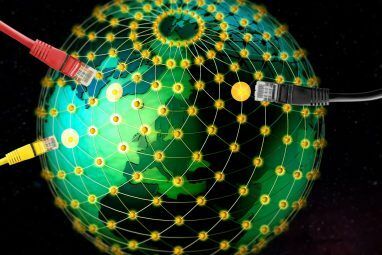 For more details, read our full explanation of how satellite Internet works How Satellite Internet Works? [Technology Explained] How Satellite Internet Works? [Technology Explained] Read More . Musk and Branson plan to put their satellite networks in low-earth orbit (LEO), roughly around 680 miles from the surface. 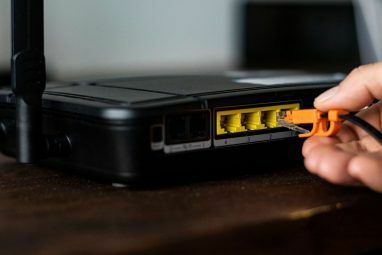 They estimate the latency at this height would be 20ms to 30ms—comparable or better than existing broadband solutions which use a network of fibre-optic cables laid under the earth’s seabed. 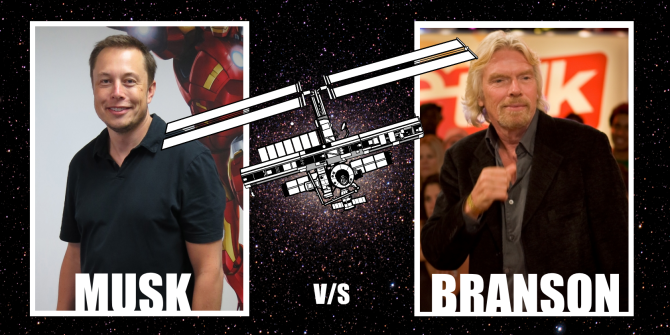 What’s The Difference Between Musk And Branson’s Ideas? OneWeb is serial entrepreneur Greg Wyler’s third big venture, according to Bloomberg BusinessWeek. Branson’s Virgin Group and chip-maker Qualcomm have both invested in OneWeb, where Wyler has been envisioning this LEO Internet constellation since 2007. On the face of it, this group has a head start. Their plan is to launch 648 micro-satellites into LEO, using Virgin’s LauncherOne rocket. These satellites will talk with earth-based receivers using radio spectrum, and that’s where Wyler scores as he owns the rights to this critical chunk of spectrum. Additionally, there are already a whole bunch of satellites (not Internet-related) in LEO, making it a crowded space. However, Musk says there is a fundamental difference in their approaches. And that comes down to history. This isn’t the first time tech giants have thought about LEO satellites. Bill Gates and a few investors pumped $9 billion into Teledesic back in 1994. But the costs far exceeded estimations and it tanked. However, Musk has an important lesson from that. He isn’t too concerned about the space junk, saying his eventual target of 4,000 satellites more than doubles the number of currently active LEO satellites. He reckons there is enough space, as long as it’s planned well. He wants to tap SpaceX’s engineering prowess to make better satellites than competitors. When Will We Actually See This And How Does It Benefit You? OneWeb expects its satellites to be up and running by 2018. There’s already a team of 30 building the satellites, antennas and software. Musk estimates the first version of his venture to be active in five years, but 12-15 years is more likely for full capability. Musk says that such a system benefits both developing and developed countries. For developing nations, fibre-optic cables are too costly, so a space-based system can cut cost and provide Internet access for cheap. In developed nations, it’s about providing options. If you’re in a region where you can only get Internet through Comcast, this would be an alternative—furthering Musk’s core philosophy that competition is good and drives better products for the consumer. The ultimate aim for him, though, is Mars. The satellite Internet constellation serves both as a revenue stream for Musk’s mission of building a habitable city on Mars, as well as providing the architecture to have a two-way means of communication there. In one corner, we have Elon Musk. In the other corner, we have Richard Branson. Come on, Internet, who are you rooting for? Explore more about: Internet, Satellite. Could Elon Musk become a modern Cosimo de' Medici, the 15th Century Banker to the Pope? It's one thing for such power to be in the hands of a government that is supposed to serve public interests but still might be manipulated by politicians and special interests. It's quite another for such power to be in the hands of a single individual, or a corporation that is legally bound to serve shareholder investment interests rather than public interests. Even as a retired IBM technologist and futurist with a historically optimistic view of the future, I worry about the potential negatives of the widening wealth gap and concentration of power as the pace of tech innovation accelerates exponentially and continually, and as capital adds more value than labor. Yeah, I'm not entirely convinced of this plan either, Bobo. It sounds good, but I dunno, there's something off about it, just like when you first heard of tablets. It made sense even back then, but the final avatar of how the technology actually took off was very different from what we were reading in Wired in the late 90s. GOOGLE FIBER WORLDWIDE, PLEASE !